About Our Practice | Podiatry Denver | Podiatry Associates, P.C. See What Makes Podiatry Associates Such a Great Foot and Ankle Clinic! Thank You For Choosing Podiatry Associates P.C. On behalf of all of the doctors at Podiatry Associates, Dr. O welcomes you to the practice, and thanks you for choosing us. We look forward to providing you care! 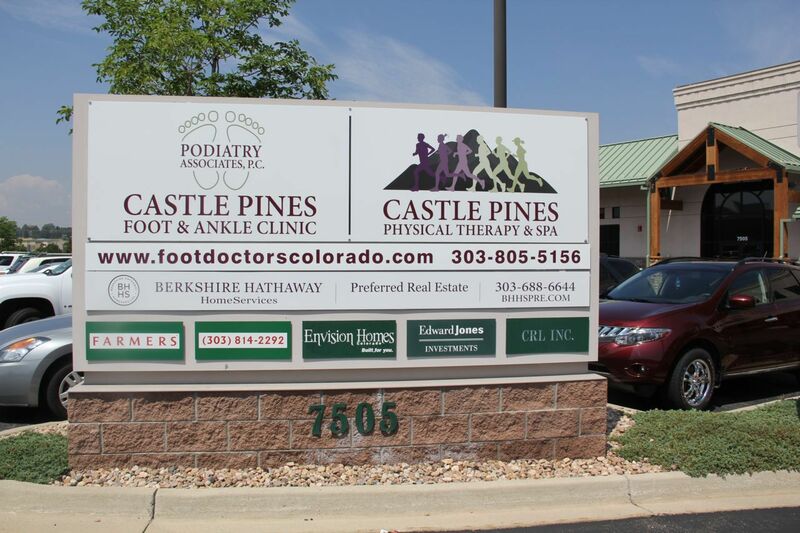 We’re proud to be your Castle Pines, Cherry Creek, Parker, and Aurora Foot and Ankle Clinic, helping with all of your aches, pains, and cosmetic needs. Dr. O has been serving patients in Douglas County for the past 20 years. Besides Castle Pines, Cherry Creek, Parker, and Aurora, Dr. O and her team regularly see patients from Denver, Highlands Ranch, Lone Tree, Littleton, Englewood, Centennial, Castle Rock, Franktown, Elizabeth, and Monument. Offering everything from foot and ankle surgery at all locations, to physical therapy at our Castle Pines and Cherry Creek locations, you get quality care from some of the top podiatrists and physical therapists in Colorado. ** Please be advised that all of our office locations are Scent Free due to severe allergies. We accept most insurance, so if your insurance company is not listed please contact our office at 303-805-5156 and check with us. We are accepting new Medicaid patients at all of our locations. We currently accept Workmans Comp patients. * We do not accept automobile accident patients.